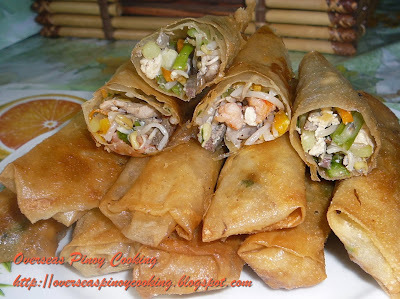 Lumpia, Lumpiang Gulay, Lumpiang Togue is another accompaniment for lugaw or goto. It is a Pinoy vegetable roll that is serve with a vinegar and garlic dip. There are no ingredient mixture ratios on the filling which is a sautéed vegetable being mung bean sprout as the main ingredient. 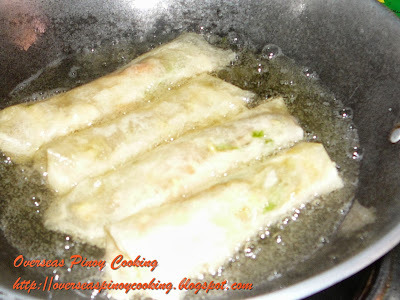 If there is to much filling in the roll it turn soggy quickly because of all the vegetable juices so it is best to keep the vegetable filling minimal in the roll for a really crispy Fried Vegetable Roll. In a wok, sauté garlic and onion, add in pork meat, pork liver and shrimp, stir for 3 to 5 minutes or until shrimps are cooked. Add in patis and cook for another 2 to 3 minutes. 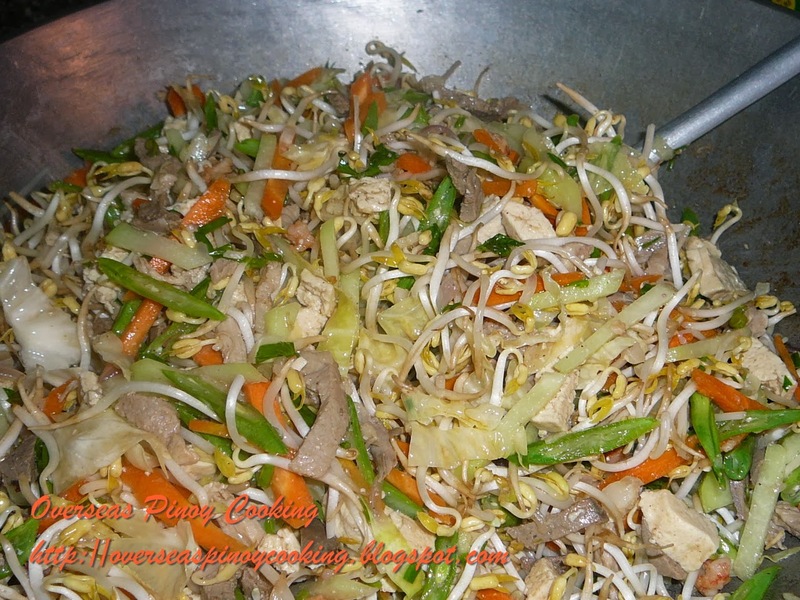 Add all vegetables and quikly stir cook for a minute. 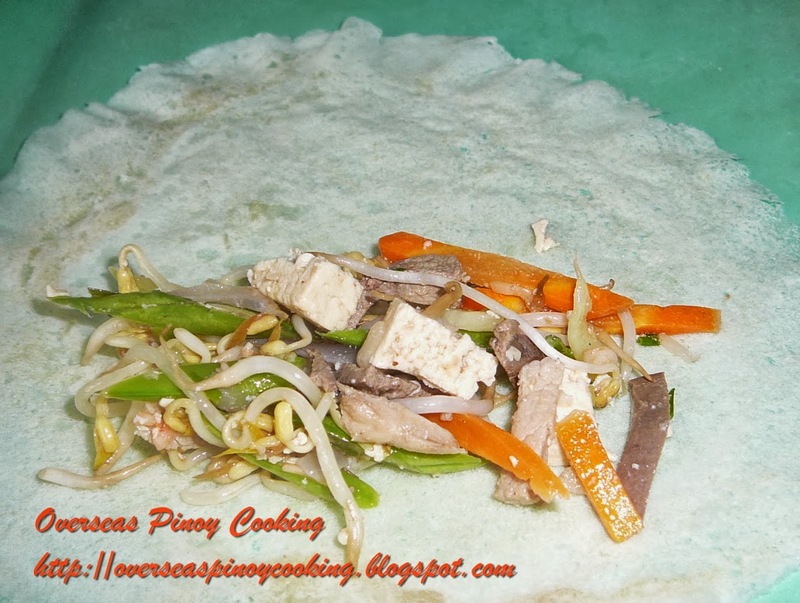 Let cool and keep aside vegetable filling. Place 1 tablespoon of filling on one side of each wrapper and wrap tightly, secure wrapper by lightly dabbing with water on wrapper edge. 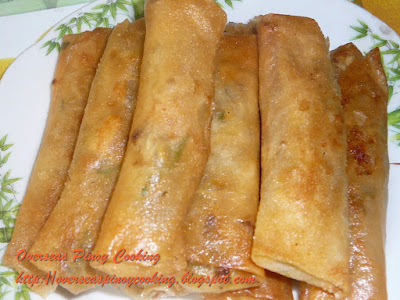 In a wok deep fry lumpia at medium to low heat for 2 to 3 minutes or until wrapper turns to golden brown and fillings are cooked. Serve with vinegar garlic mixture dip.